Nazareth Newton was the daughter of Sir John Newton and a cousin to Sir Robert Dudley. Her first marriage was to Sir Thomas Southwell of Woodrising in Norfolk. The family was noted for its catholicism but this didn’t prevent the widowed Nazareth from serving Elizabeth I. The link to Robert Dudley is a reminder that much of the Tudor court were related to one another somewhere along the line. Nazareth’s web of unexpected connections extends to another generation. 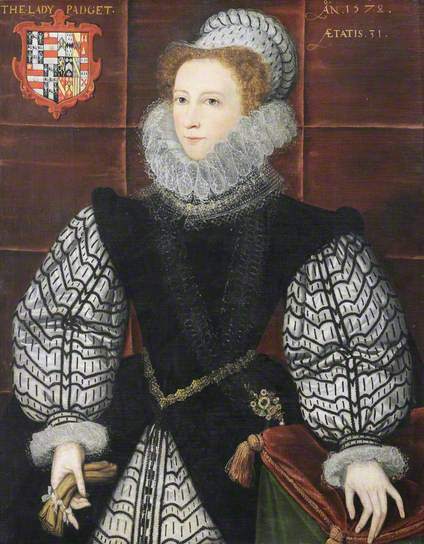 One of her daughters with Southwell was called Elizabeth. She became the mistress of the Earl of Essex and gave birth to his illegitimate son Walter Devereux. to reconcile them and Paget’s reluctance to leave the woman he so self-destructively loved. Paget felt that he had a reason to remain in England so long as there was hope of regaining his wife, but when she died in 1583 he too fled abroad. Thomas was stripped of his title and eventually gained a pension from Philip II of Spain. The Duke of Parma consulted with him about the proposed Armada invasion of 1588. Nazareth’s brother-in-law Charles was also a Catholic but his involvement with European intrigues was rather more complicated.